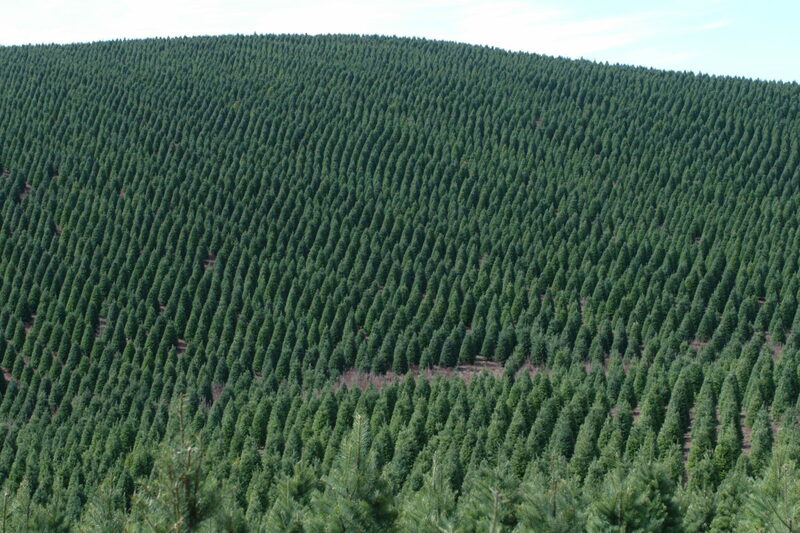 Noble Mountain, a 4,000-acre Christmas tree farm in Salem, Oregon, was one of the first to apply for certification. “We’ve always tried to do what’s right for the ground and the soil—it’s our livelihood,” says farmer and General Manager Bob Schaefer. Back in 1985, Schaefer introduced “straw water bars”—bales of straw placed strategically along the hillside to reduce erosion (see photo on the right). He also discovered that ladybugs love to eat aphid eggs, which reduced reliance on broad-spectrum chemicals like Lorsban. “We were doing a lot of things right, but we weren’t documenting it,” he says. No mention in here of buying a living tree with rootball and using it again next year...... ? Certain pesticides such as chlorpyrifos (cpf) the active ingredient in Lorsban, is associated with a 7 point drop in children's IQs at low doses. If small amounts of cpf make it into the house on a tree, residues will be less likely to degrade when sheltered from the elements and could persist in house dusts. EPA banned use of cpf from home insecticides in 2001 because of the danger to kids. Another issue is that the tree farms where these pesticides are used may be located in communities, where residents are potentially exposed to pesticide applications. This amounts to an unfair burden on the communities where the trees are grown. The costs may not outweigh the benefits when it comes to the risk of exposure to a pesticide like Lorsban. Great article. Still though, even trace amounts of these chemicals is unacceptable. Many of the health studies fail to recognize we're already loaded up with many trace amounts through environmental exposure at large. Any exposure to glylphosate even if minute is completely unacceptable. We bought our first live tree this year, but we're becoming aware that's not just pine we're smelling. This is one instant mess, and we'll never buy a conventional tree again. Next year we're buying one with the roots still on it to plant after xmas, or an organic chemical free one. The article here places faith the EPA makes competent decisions with the interests of consumer safety first. Think again.